Learn how to add writing assignments to your lessons. 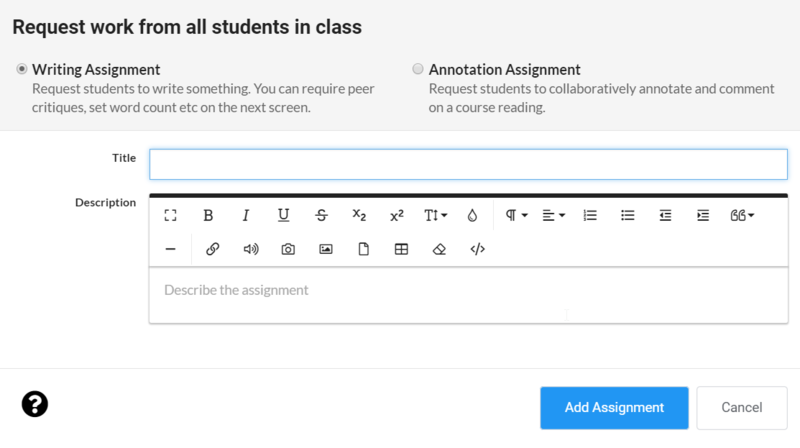 When you are editing your class lesson, you can add writing or annotation assignments to your class. Assignments can be added to a 'Running' and 'Not Running' class. 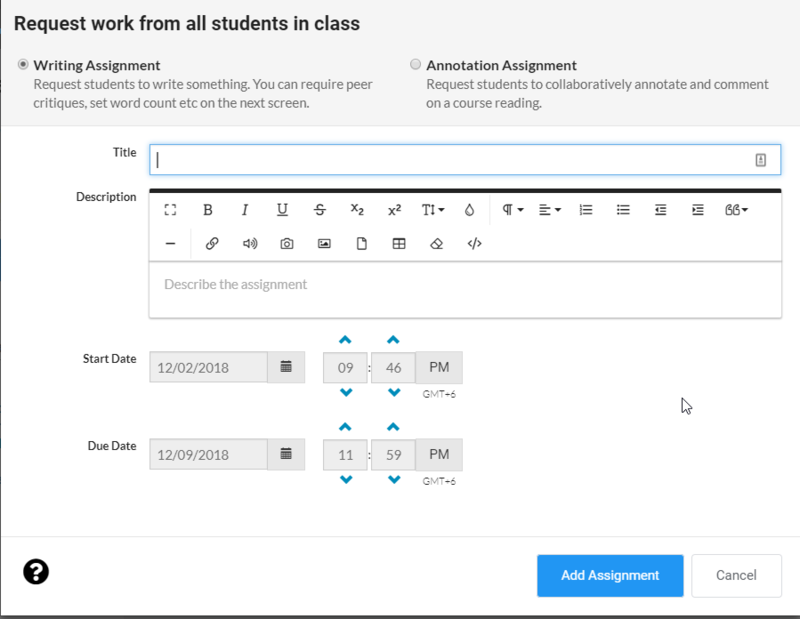 If you are adding assignments to your lessons while the class is 'Not Running,' when you start the class, these will post automatically when that lesson goes live. If you are not associating an assignment with a lesson, you will need to specify a date when you start the class. If the class is running, you will need to choose a date when you create the assignment.